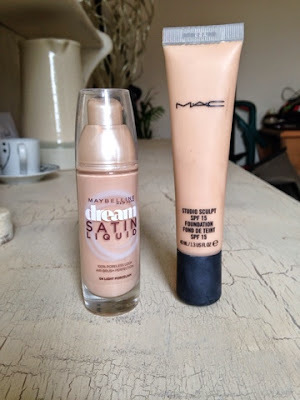 I, like many others with dry skin, struggle to find a good foundation that looks nice, has good coverage, doesn't cling to dry patches and lasts all day, so here are my 2 favourites; 1 high end and 1 drugstore. 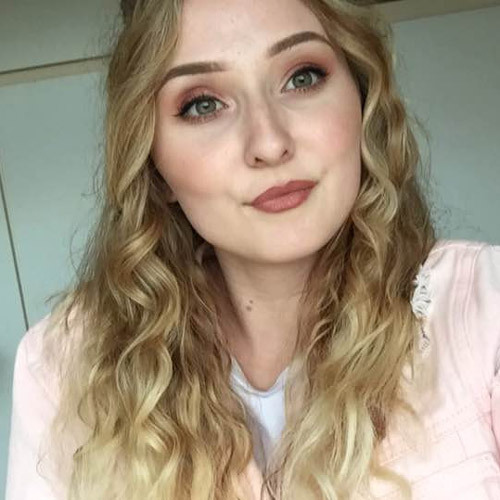 My new favourite drugstore foundation is Maybelline Dream Satin Liquid foundation in 04 Light Porcelain, it has a pretty moussey consistency, blends well, has medium coverage, lasts almost all day and doesn't leave my skin looking or feeling dry! I use 1 pump and apply dots of it to my face and then blend it in with my beauty blender, which gives a really nice dewy finish. 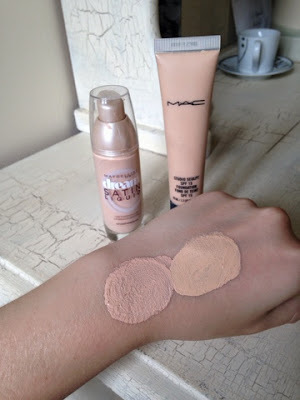 My high end pick is my MAC Studio Sculpt foundation in NW15, which I've been using for quite a while. Although this is £25 a tube (sighs), it has actually lasted me a while, as I only use maybe just over a pea sized blob (about the same as the Maybelline foundation) so I honestly don't think I'll need to worry about buying this for a while. I apply it in exactly the same way as the other foundation with my beauty blender, and I'd say it has the same coverage and the same finish if not a little bit dewier, which I like anyway. 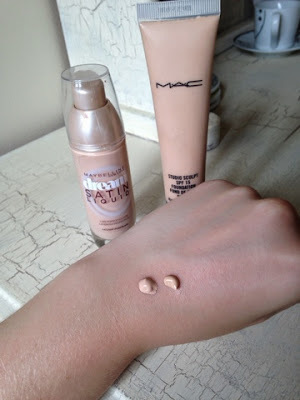 As you can see, the MAC foundation is a lot more yellow toned, but don't worry, both of these blend into my skin and look normal! I could do more in depth reviews of each of these if you'd like me to! 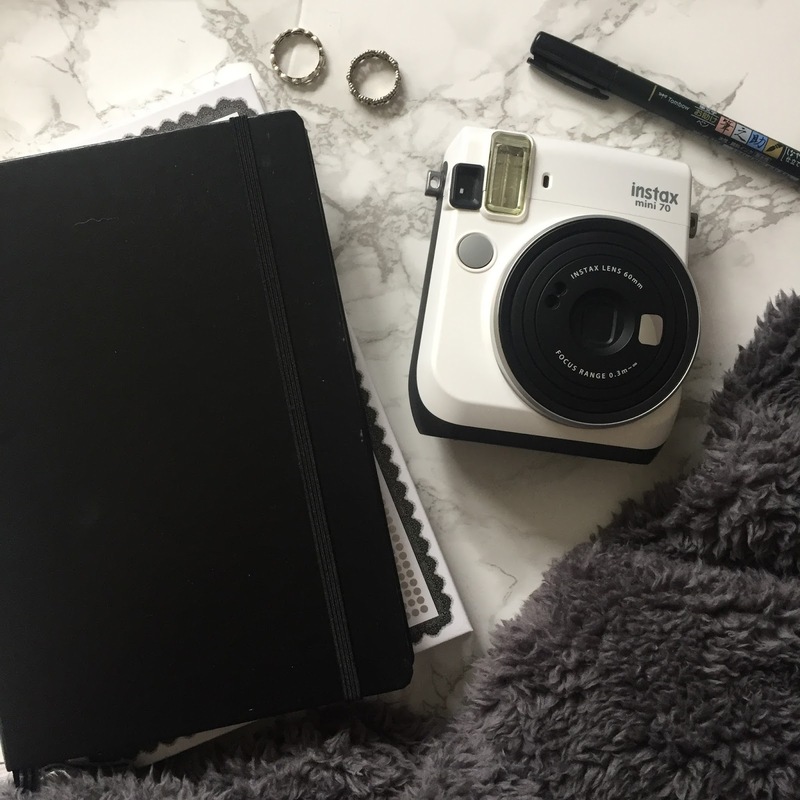 Do you have dry or oily skin? What's your favourite foundation?